Brian was fantastic throughout the entire process. From the moment we met he made every effort to understand the style of the wedding we wanted. He took the time to listen and understand our concerns and needs. On the day he was always in the right spot to capture the moment but I never felt he was in the way in the slightest. He just silently went about capturing the moment. I was particularly impressed with his interaction with the kids and he got them all smiling and laughing for the photos! I had several guests and family members approach me to comment on his professional operation and friendly nature. The photos of course were stunning as we knew they would be. Thanks to Brian and his team for making it so easy and fun! Alexandra and I were thrilled with Brian and his team, and they were a pleasure to work with. They helped make our big day all the more special and brought energy, enthusiasm and positivity from start to finish. The shots we received were timeless and beautiful. We met with a lot of different photographers but after our first meeting with Brian, we connected and liked him from the get go and the rest is history. Highly recommended if you are looking for a professional, fun and wonderful photography and videography team! Working with Brian has been truly amazing. Brian and Frankie captured the moments of our welcome dinner and our big day beautifully. Great shots and such a proactive and creative approach of taking pictures. Brian is such a positive, friendly and nice guy to have him around on your big day -- I can highly recommend him. Thanks so much Brian! It was such a pleasure to work with you and Frankie. We were so happy with the photographs, everything came out really beautiful and we are truely grateful to you both for helping us capture our very special day. Both your communication and personality made it very easy and fun for us throughout the whole process. Would definitely recommend you both for any kind of special event. Thanks again!! I’ve worked with many photographers. Brian is pure magical! The way he capture moments and amplifies the sceneries is astonishing! Finding golden angles and taking epic shots seems so effortless when he performs his magic. Great person to work with! Amazing work! Superb outcomes! Definitely made our life milestones shine even brighter! Thank you! Brian is super chill and easy to work with. His photos catch natural moments and emotions. Love! 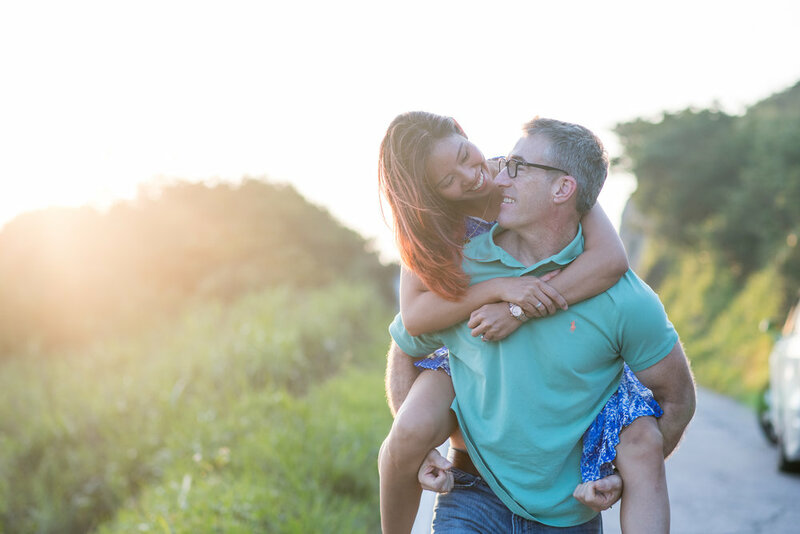 I contacted Brian from the US so I could have some engagement pictures taken while visiting Hong Kong in April. He was so patient and helpful with all my millions of questions in the booking process. Of course, his pictures posted online are amazing, so we chose him to be our photographer. We had to keep the date a bit loose, as the forecast called for rain every day of our time in HK, and he was so flexible with that. Upon our arrival to Hong Kong, the one day that would be sunny was the day we arrived, so we decided to make that our shooting day. We had a four-hour photo session all over Central / Sheung Wan and the Peak and were amazed by the resulting photos! Brian had one preview picture ready for us on that very same evening, which was so exciting. And then we received about 10 more pictures a few days after! We loved looking through our DVDs once they arrived at home and were so happy with all the beautiful pictures Brian took. We are struggling to choose only two to hang on our wall… we each have about 10 favorites (and several of them are different)! 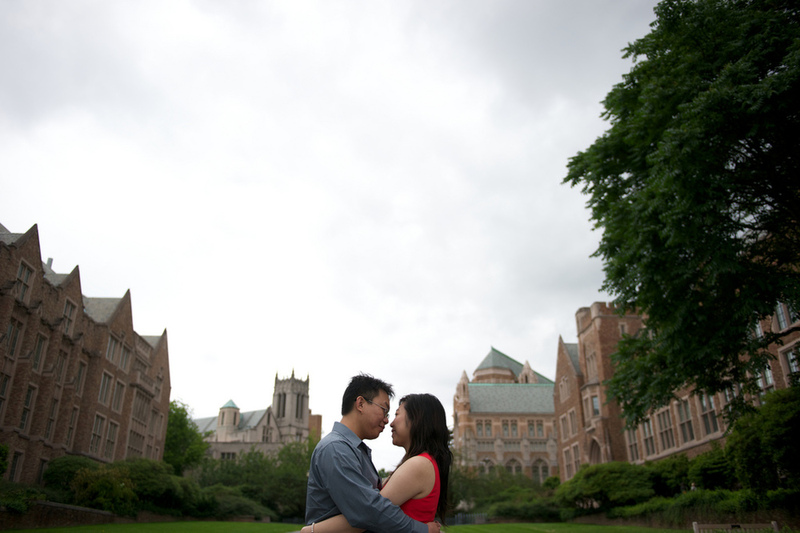 I would highly recommend Brian as a wedding or engagement photographer. He has beautiful style and takes very interesting shots – I just wish we could afford to fly him back to the US for our wedding photos! Thanks again, Brian! After searching online, we found Brian’s website and loved his pictures right away. The photos were exactly the style of photography we were looking for: fun, creative, candid, relaxed, etc. Later on, we were even more delighted to find out that he works with our friend Gabbie Lee, a professional make-up artist based in HK. After our initial email exchanges, we met with him to discuss what kind of photos we wanted. Brian was professional, yet very approachable. We felt confident that we had picked the right person. On the day of the shoot, we had a blast! In the morning, Gabbie did an excellent job with Monica’s make-up and hair. During the shoot, Brian was great at keeping us relaxed while giving us clear directions on how to make the photos look beautiful. We are absolutely happy with our photos and excited to share them with our family and friends. On our wedding day, instead of following the Hong Kong tradition to pick me up from my home to my husband’s, we chose to do wedding day photoshoot with Brian instead. We are glad that we have made the right choice to capture all our wonderful moments on our wedding day. He is very friendly and knows exactly how to compose our pictures to bring our relationship up in our photos. Not only do we see beautiful composition, but also our own relationship. Thanks Brian for giving us a great time and documenting our precious memory. We just happened to stumble upon Brian’s website while looking for a photographer to take our wedding pictures in HK. The decision to pick him over other photographers is an easy one. Not only does he take beautiful pictures, he is also very prompt in response, easy to work with and very accommodating. Coincidentally, he also planned a trip to the west coast during summer so we’ve decided to have our engagement shoot with him too. Come the day of the shoot, we weren’t sure what to expect, but those few hours turned out to be a very fun experience! Brian showed us how to pose, where to stand and all those stuff in a very professional way. We are already very satisfied with the preview pictures and can’t wait to see the rest! We also look forward to working with you again on our wedding day! Thank you Brian. We were so lucky to find Brian Jala photography in HK – Brian Jala instinctively understood the natural look we wanted and had great suggestions for shots. He was lovely and fun to work with – would highly recommend them for wedding/engagement/family/fun photo shoots! We were so happy when we found brianjala.com and found they were based in HK, where our wedding was. First of all, we felt like we were able to become friends in an instant with them. With few words spoken, they were able to understand what was in our hearts and capture it into beautiful images.The photos speak for themselves. Their attention to detail, artistic vision and professionalism continued to surprise us. They even put together a slideshow of our wedding ceremony for our guests to enjoy on the second day of our wedding. You guys work as a fantastic team! We can’t wait to see more of your creations! Brian was really great at making us feel comfortable and relaxed while taking the photos. It was great fun to have him photograph us in Paris, the city of love while we were holidaying there. He took really fun photographs that others would not have done. We were also really happy with the photos in the end. They came in a beautifully packaged box too! We will definitely be in contact with him again for other celebrations we want photographed in the future. We were planning our small wedding from the other side of the world when we found www.brianjala.com online and fell in love with the photos. Then after getting into contact with Brian, we found out that the person behind the camera were just as amazing. He immediately picked up on our vision for the photo shoot, figured out the best locations for great shots and even came with homemade props to really add extra elements of fun into our day. At first, we were not sure if we even needed a professional photographer for such a small event, but the pictures truly captured all the emotions of the day, which was so special to us given that not all of our loved ones could be in Hong Kong to celebrate our marriage. The attention to detail, artistic creativity and ability to make us both feel extremely comfortable were outstanding- it was like having a friend shoot the wedding, but with professional results. These wonderful photos proved that Just Smile About It Photography was the best decision we made– well, other than deciding to marry each other!! Thank you Brian!